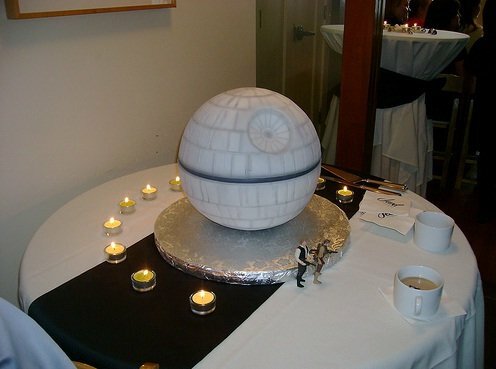 Check out the Death Star wedding cake taken right out of Star Wars. The cake was found over on Flickr on Ford Cloudy’s photo stream and I believe it’s actually her own wedding cake. The cake was designed and made by Mike’s Amazing cakes in WA and although ultra geeky, kind of looks cool.